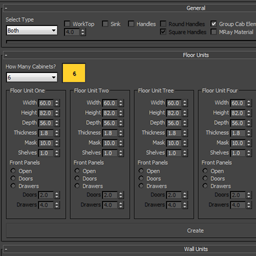 Kitchen Cabinet Creator is a script for 3ds Max which is intended to automate process of making kitchen cabinets. 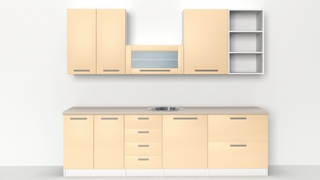 Kitchen Cabinet Creator is the ideal program for users who require frequent design of kitchens, furniture and interior design as well for all of those who want with a couple of mouse clicks to fill some empty space and very easy and simple to do some things that otherwise take much longer. Kitchen Cabinet Creator with its intuitive and logically arranged user interface that offers the possibility of a large number of combinations of kitchen cabinets, both through pre-defined, ie. settings that you specified, or with random button which can provide you with very interesting results. Script now automatically recognise display units in max and convert all values it to. Added spinner for number of random cabinets. 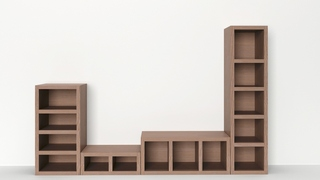 Improved randomness of cabinet creation. Improved naming of objects for easier managing. Tip: The best way for using this script is on clean scene, or at least make sure that no other objects around point of creation(script use ProBoolean Compound Object for creation of sink hole). If you download macroscript zip file just extract files to 3ds max main directory. Submitted by Michele71 on Sun, 2010-11-07 12:52.